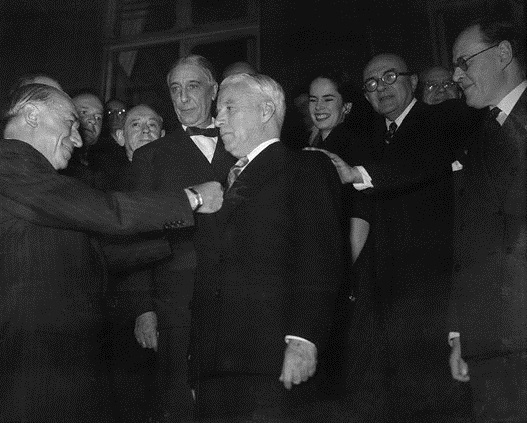 04 Nov 1952, Paris, France — Actor Charlie Chaplin receives the Legion of Honor Medal during a meeting of the National Authors’ Society. Andre Marie, French minister of education, makes the presentation. Chaplin’s wife, Oona, looks on at left. As we learned in Peter Jacoby’s recent post, Charlie Chaplin role as Billy the Page in William Gillette’s Sherlock Holmes laid the foundation for his future career in the theater and movies. Chaplin would go on to great fame and receive many honors over the years. France would honor Chaplin three times with different classes of the Legion of Honour. Chaplin would be honored as a Chevalier of the Legion of Honour on March 27, 1931. Over 20 years later, Chaplin would be honored as an Officier of the Legion of Honour on November 4, 1952 during a meeting of the National Authors’ Society in Paris. This second honor is the picture at the top of this post. 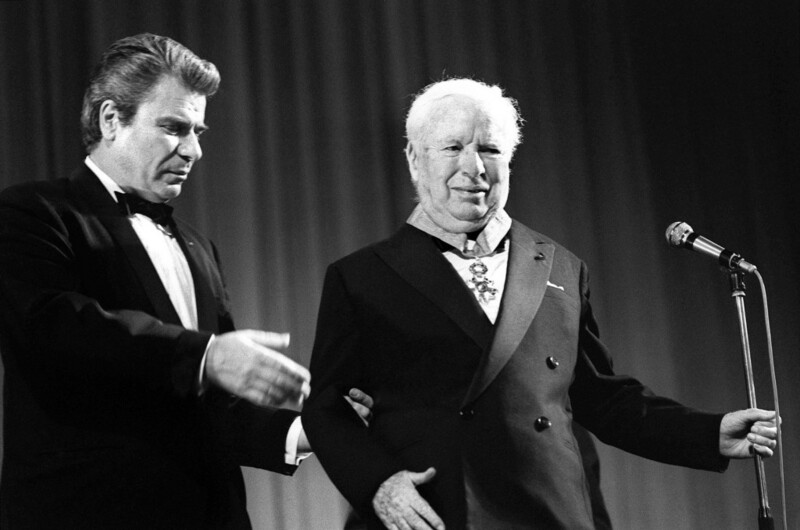 Chaplin would be honored with his third award during the 1971 Cannes International Film Festival when he received the Commandeur of the Legion of Honour. For those interested in the varying classifications of the Legion of Honour, please read our earlier post.